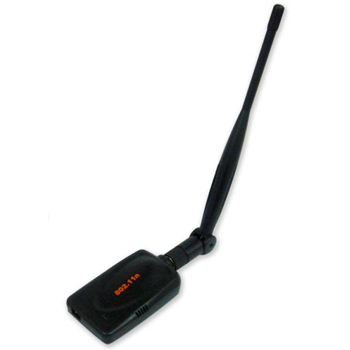 High Power WLAN USB Adapter which fully supports the features and functional compliance of IEEE 802.11b/g/n (draft 2.0).Our WLAN USB adapter is targeted at competitive price, superior performance and better power management to Desktop and Notebook PCs. ■ Operating distance of up to 1000 meters in free space. ■ Easy operation and setting up.